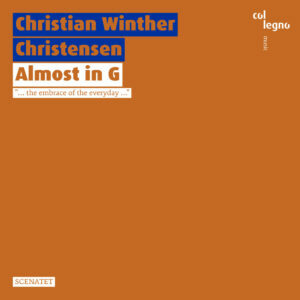 SCENATET is proud to announce the release of the album “Almost in G” – a collaboration between SCENATET, composer Christian Winther Christensen and the acclaimed art music record label Col Legno in Vienna. The album consits of pieces from the praised Christian Winther Christensen portrait concert performed at Borealis Festival in 2015. The recordings began in August 2017, where SCENATET and Winther Christensen joined the impressive list of world-renowned ensembles and composers released on Col Legno such as Arditti String Quartet, Neue Stuttgarter Vokalsolisten, Olga Neuwirth, Klaus Lang, Clemens Gadenstätter, Georges Aperghis, Wolfgang Rihm etc. “There is an urgent originality at work here that absolutely sparkles next to less daring new classical recordings. Comparisons aside, it is a thrilling hour of compositions expertly performed by the SCENATET Ensemble for Art & Music,” badpress-blog. Read the full review here. Toneshift.net calls Christian Winther Christensen a thoughtful and enigmatic composer “showing us the entire construction process in a manneristic fashion, and giving himself the time to invent and alchemically morph materials into other states of being to juxtapose them in a schematic and very interesting way.” Read the full review from Toneshift here. SCENATET are one of the most innovative ensembles in Europe – we are delighted to welcome them here with us at col legno! Christian Winther Christensen has his own unmistakable style and manifests himself as an outstanding contemporary composer constantly pushing the boundaries of new music. He is a part of a wave of young composers finding their own musical language by inspiring each other instead of leaning on the composers of the 20th century. 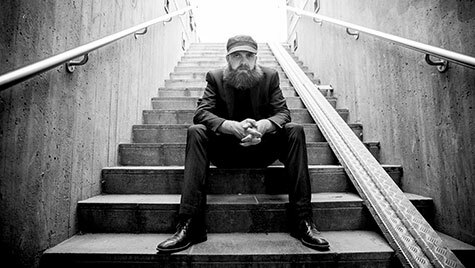 Although Christian Winther Christensen is influenced by the older generation, he relates to the music history through quotations and imitations, that comment on, create ironic distance and give new music a new dimension. Christian Winther Christensen and SCENATET have a strong ongoing collaboration. Latest, the ensemble premiered his piece Chorale at the renowned MATA festival in New York City 2017. Christian Winther Christensen studied composition at the Royal Danish Conservatory with Bent Sørensen, Niels Rosing-Schow, Hans Abrahamsen and Hans-Peter Stubbe Teglbjærg as well as at the Paris Conservatoire with Frédéric Durieux. His music has been performed by a long series of ensembles and orchestras such as Ensemble Mosaik the London Sinfonietta, Curious Chamber Players, DissonArt Ensemble, Ensemble Alternance, the Arditti Quartet, the Silesian String Quartet, Oslo Sinfonietta, Ensemble Blackhair, Caput, Interensemble, Ensemble Aleph, the Athelas Ensemble, Figura, the Esbjerg Ensemble, Zoom and SCENATET. His works have been played at the Tage für Neue Musik 2010, ISCM Festival Sydney 2010, Festival di Nuova Musica 2008, as well as the Nordic Music Days, UNM Festival, SPOR, Athelas, Wundergrund, Suså, MATA Festival and Musikhøst. Winther Christensen has received Léonie Sonnings Music Prize, the Schierbeck Prize and yearly work grants from the Danish Arts Foundation.